16-year-old Thomas wakes up in a dark elevator, and the only thing he remembers is his first name. When the doors open, a group of boys is staring at him, but they refuse to give him any information on where they are. Eventually, Thomas finds out that they live in the Glade, at the center of a maze. Some of the boys have been there for up to 2 years, and they’ve managed to survive thanks to a vegetable garden, an orchard, animals and the occasional delivery of supplies in the Box — the elevator. The Maze is open during the day, but at night doors close to seal the Glade from the labyrinth where walls move and Grievers roam. Then, one day, an unconscious girl arrives in the Box clutching a note saying that she is the last one. Why are the teenagers in the Glade? Who put them there? Can the Maze be solved? 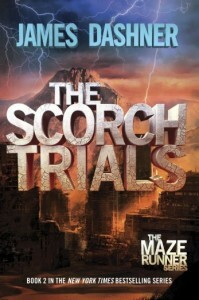 This is book 1 of the Maze Runner series which has 4 installments. The series targets the young adult market, but a more mature audience can certainly enjoy it as well. The story, written in the third person from the point of view of Thomas, is compelling and fast-paced. 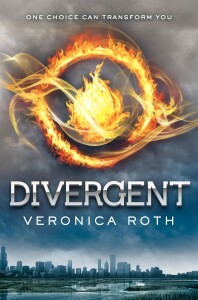 In addition, the dystopian world created by James Dashner is believable and well thought out. Cut from the outside, the Gladers develop their own vocabulary and create their own society in order to survive. Each person has a role: leader, farmer, cook, cleaner, medic, etc. The Glade is a very scary place though, and its inhabitants have to fight to stay alive. They still hope that, one day, they will be able to escape from the Maze. If you have seen the movie, you will quickly realize that a lot more is happening in the book, and it is definitely worth taking the time to read it. However, I thought that the text was sometimes a bit repetitive. For example, Thomas says several times that he has general memories but cannot remember his family, his friends or his life before coming to the Maze. 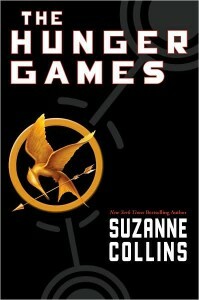 On the whole though, I think that readers who loved The Hunger Games and Divergent will most likely enjoy this series. About the author and his work: James Dashner’s Website. 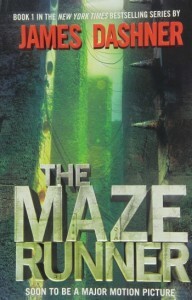 James Dashner was inspired by the maze scene in The Shining. In fact, Stephen King is his favorite author. His favorite films are Star Wars, Back to the Future, Star Trek and Lord of the Rings. 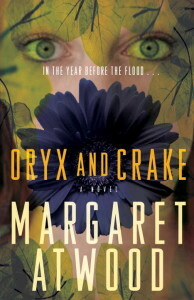 The author is afraid of mazes and snakes. He worked as a consultant on the movies but wasn’t involved in the writing of the script.